IS fighters have blown up al Nuri mosque in Mosul, where the group's leader declared the caliphate, the Iraqi military has said. The Ministry of Defence said fighters had detonated explosives inside the structures, destroying the mosque and its iconic leaning minaret. A statement from the commander of the Mosul offensive, Staff Lieutenant General Abdulamir Yarallah, said the explosion took place as Iraqi forces, which have been advancing in the Old City, were within 50 metres of the building. 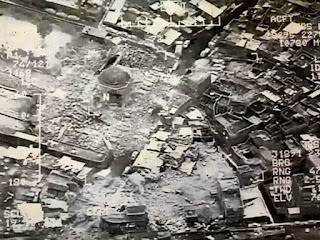 "The Daesh (Islamic State) terror gangs committed another historical crime by blowing up the al Nuri mosque and its historical al-Hadba minaret," the statement said. 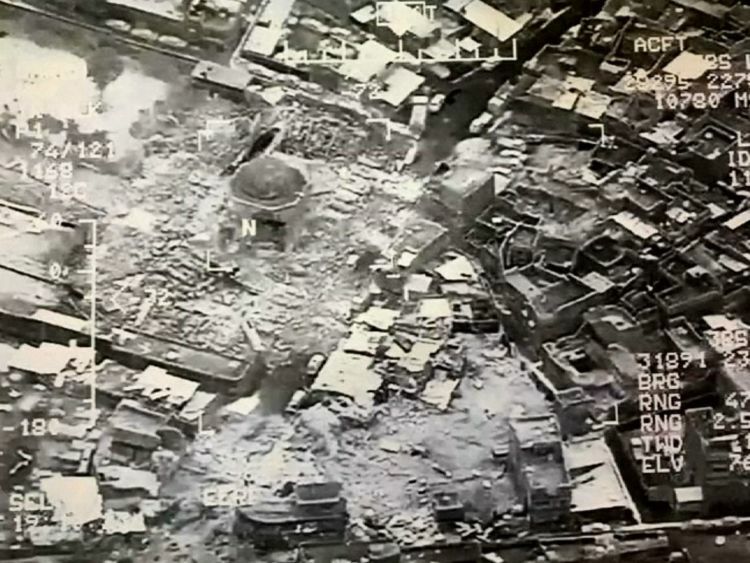 The medieval mosque, also known as Mosul's Great Mosque, is where IS leader Abu Bakr al Baghdadi declared a so-called Islamic caliphate in 2014. It was seen as a key symbolic prize in the fight for Mosul. The minaret stood for more than 840 years. IS has blamed a US strike for the mosque's destruction. Sky News chief correspondent Stuart Ramsay in Erbil, Iraq, said: "We spoke to a senior commander who was on the ground and he said it was an explosion on the ground, not an airstrike. "He said there is a huge amount of fighting taking place around the mosque right now." "The first pictures we've seen would suggest that it is almost completely destroyed and the famous minaret has gone."